I was big from birth. Even in my earliest memories, I remember knowing I was fat — much chubbier than the rest of the kids my age. And from girlhood to early adulthood, my weight only rose. I ate for so many reasons unbound to hunger — most of them emotional. By the end of my sophomore year of college, I was at my breaking point. 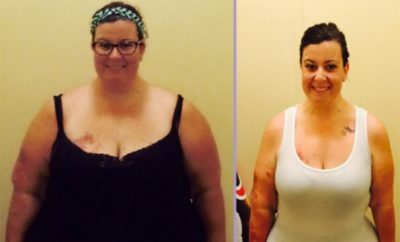 I stepped on the scale to discover that I weighed 268 pounds and the number frightened me. My pants — sized 22 — were getting snug. I was painfully uncomfortable in my own skin. I knew that if I didn’t commit myself to change at that very time I’d only continue to gain, I’d only be gravely unhealthier and unhappier. At first, I simply tried to cut back on what I ate and make healthier choices. I eliminated fast food, which I’d eaten nearly five times per week for years, and I increased my intake of fruits and vegetables. I also downsized my servings of sweets. I became more active by going for long walks with my best friend and enrolling in group fitness classes. 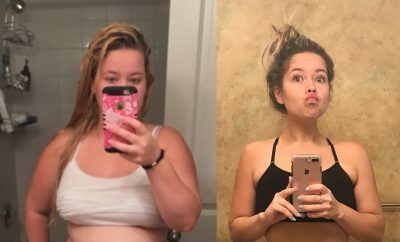 After four months, I lost 40 pounds. When my motivation begin to wane, I joined Weight Watchers. There, I learned the basics of portion control and the importance of food journaling. I stayed on the program for a few months and was happy with my success there, but eventually, I transitioned away from WW and into traditional calorie counting for the rest of my journey. 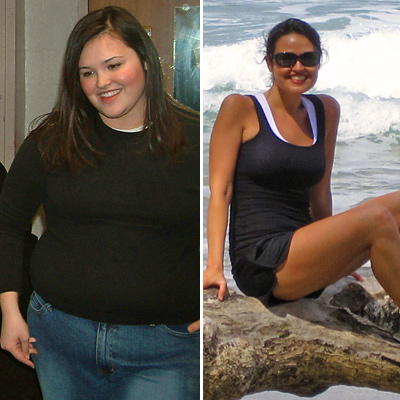 Thirteen months after I’d first started losing weight, I’d taken off 135 pounds. Dining out. It was challenging to navigate restaurant menus in search of lighter, healthier options, but it became even harder around my family and friends — all of whom are the types who order appetizers and desserts in addition to entrees. Staying true to my goals when there were big, juicy burgers and fries around was a real test of my willpower. Were there times when you wanted to quit or give up? How did you stay motivated? About halfway through my weight loss, I moved to Italy for a semester to study Italian film. From a mixture of homesickness and a rocky transition, I binged on my first night in Rome on pizza, fried risotto balls, and…KitKats (I know — of all things!). I hadn’t eaten like that in about six months, and as delicious as the pizza was, I felt awful physically and mentally. The next morning, I picked my bloated body up off of my twin bed and thought briefly about letting the previous night’s binge bleed into the new day, but then I also thought about the progress I’d made over the past half a year, and I wanted badly to continue with it. A large part of me knew that allowing any more bingeing would only send me spiraling further out-of-control and back into a negative cycle. Before I could wrestle my mind a moment longer, I grabbed the keys to my apartment and walked outside along the Tiber into the mustiest little gym in Rome and asked for a membership. I didn’t binge again for the rest of my stay. What I realized that day was that getting away from a poor eating episode — or bingeing, in my case — is sometimes at first just about removing yourself from the situation. Sometimes it’s about finding new habits and new routines to occupy you so that bingeing loses its place as your primary hobby or go-to mode of seeking fulfillment. For me, simply the act of getting up and getting out of my house — doing something to disrupt the makings of a binge plan — can be enough to derail it. And then, the positive feelings that come from positive actions create momentum and strength. They drive me to keep making strides forward. The motivation is and was bred from a desire to continue to feel good and a knowing that to feel good I must make good and healthy decisions. Over the past eight years, I’ve experimented with lots of different forms of exercise — running, group fitness classes, yoga, you name it — but time and again, I return to what I love most: walking. I like the flexibility, the convenience, and the ease of it. I’ve accepted and embraced that all that matters is that I commit to moving my body in some way, every day. And what matters even more is that I enjoy that movement. Currently, I walk 3 miles a day. 8 a.m. Breakfast: A big bowl of oatmeal made with 4 egg whites whipped into it and topped with a tablespoon of peanut or almond butter. I also have a banana. 12 p.m. Lunch: Almost always a salad. My salads usually include lean protein (chicken or turkey), feta or goat cheese, a sprinkling of sunflower seeds, loads of fresh vegetables, and homemade dressing (my favorites are raspberry balsamic vinaigrette and lemon Parmesan vinaigrette). 3:30 p.m. Snack: Usually an apple and a cup of 2 percent Greek yogurt. 7 p.m. Dinner: It always varies because I’m constantly creating new recipes for my blog, Can You Stay for Dinner?. My favorites are: Honey Barbecue Meatloaf with Parmesan Mashed Cauliflower, 15 Minute Ginger Shrimp Stir Fry with brown rice, 20 Minute Chicken and Sun-Dried Tomatoes with quinoa. 9 p.m. Dessert: Often I choose between fresh fruit with Greek yogurt or a big bowl of air-popped popcorn seasoned with either garlic and Parmesan cheese or cinnamon and sugar. What’s your favorite healthy snack or meal? I love to make my favorite heavy meals lighter. Buffalo chicken is one of my favorite things in the world. To lighten it a bit, I make Buffalo Chicken Rolls, and each roll clocks in at only 100 calories, which is great for an appetizer or a snack. I’m a lover of all things sweet and also a baker, so my life will always include decadent desserts. To incorporate them into my eating in a balanced way, I try to keep them special by only enjoying them once or twice a week. I make sure to buy or bake something that I truly love and then I sit down at the kitchen table with one serving of it alongside a cup of coffee and savor every last forkful. When it’s done, I’ve learned to simply move on with my day without going back for another slice, or cupcake, or cookie, because the second cupcake never tastes any more delicious than the first. The key to successfully incorporating these rich sweets and maintaining your weight, I find, is in the act moving on and resuming normal, healthy habits. Because the former binge eater in me — the one who weighed nearly 300 pounds — never stopped at one sweet serving. I’m in a really good place now, mentally and physically. Hands down, the confidence and inner strength that came from this big achievement are the best parts of my life now. They positively affect my self-esteem. On a practical level, my best advice is: learn to count calories. Spend a month getting to know the nutritional value of various foods. 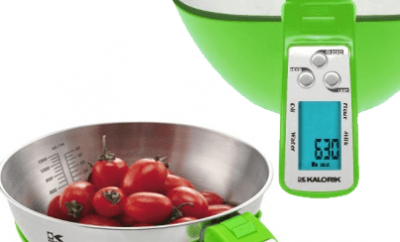 Get acquainted with what a proper portion looks like by weighing and measuring at first so that later, you’ll be able to eyeball more accurately. It might be helpful for you to think of your daily or weekly food intake as a budget or a bank account. With this in mind, you can spend your calories however you choose. Learning to calorie count helped me learn that all of the foods and meals I love can be included into my diet, as long as I make them fit in a balanced way. I feel good knowing that I’ve made no food off-limits. And rich things such as cake, while costing more calorie-wise than a cucumber, are just as vital to my well-being as leafy greens. ← Previous Story I lost the weight and gained my life!! 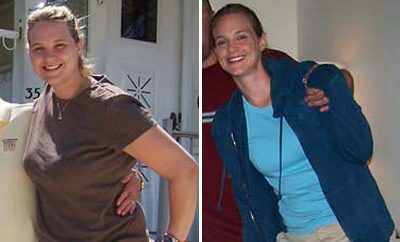 Next Story → I Lost 122 Pounds: Caroline Drops The Weight Without Surgery Or Crazy Diets! I m very proud of you. It’s not easy. Excellent story and really motivating. Loved your story! I also love sweets, but have found a way to make them high protein and low sugar/low carb. You should check out my site – http://www.LoveBitesbyTanuja.com. Congratulations on your success! Beautiful before and after! Way to go! well done – I love that every success story here involves the basics. Healthy eating, portion control and exercise. No magic pill or wand or formula…Just a driving belief in self worth and persistence. Well done – you are a beautiful person Andie! that is amazing! thanks for sharing this. You said everything I believe and needed to hear. Thank you for sharing. I saved the link on my favorites. There’s a link in her story, “Can you stay for dinner?” I’m going to make Honey BBQ Meatloaf. Yummy! That was very inspiring. Her advice of just getting up and out of the house to avoid temptation was what I needed! You are an inspiration!!! Absolutely beautiful! Wow! To know she struggled like I do helps me to keep going.